Friends on today’s episode you will feel one flip of your fin closer to your dreams as I introduce you to Lauren Elizabeth of Hello Whimzy, a real life stay at home mermaid. Lauren shares with us the importance of keeping the magical and dreaming aspects of our lives alive by looking at conflicts as adventures and doing those things that set our soul on fire, or send Kool Aid through our veins as she says. Lauren tells of the example of her puddle jumping mother who showed her that happiness was a choice and life was worth living and full of opportunities through taking risks, embracing failure, working hard, laughing long, and dreaming big. 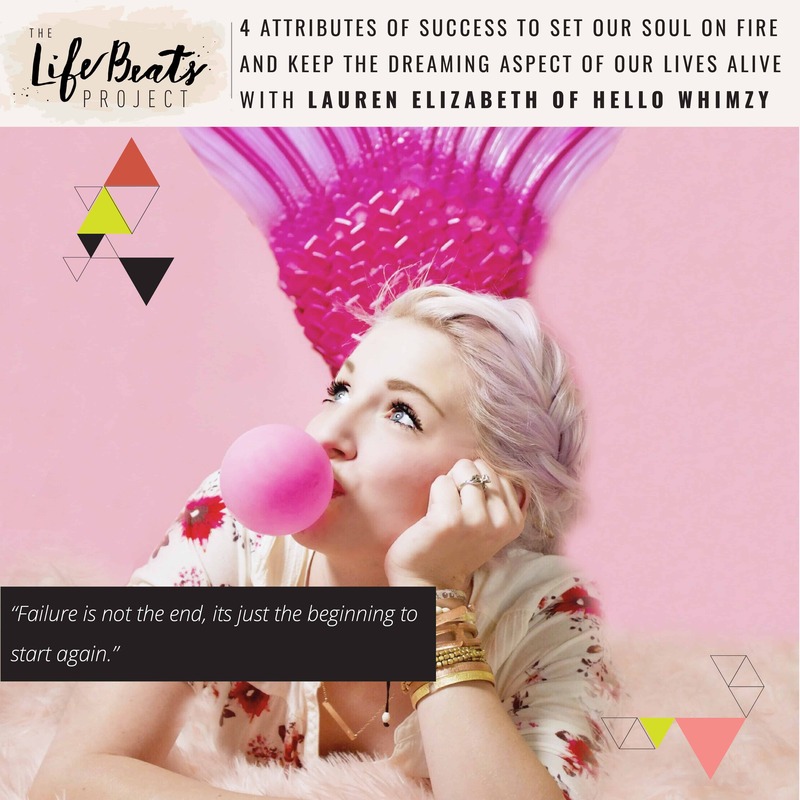 Lauren shares Walt Disney’s 4 attributes of success that separate the lame from the legendary and how she applied them in her own life with her Princess Party business and her Whimzy mermaid character and children’s book. She tells of her desire to be an inspiration to others that look at her and say, ‘well if she can get away with being a mermaid, what can I get away with? maybe I will take that leap. “whether that is a song or book you’ve always wanted to write or a job you’ve always wanted to pursue. Listen and be inspired to know how you can begin to make those dreams inside of you be more than wishes on your birthday candles but real and a nourishing part for your soul that will make you better for yourself, your family, and society. Want to know if this episode it for you? This episode is perfect for someone who needs a little encouragement to pursue their dreams or wants to keep more of the magic of childhood as an adult. It is perfect for someone looking to discover what that thing is that will set their soul on fire and needs a little push to realize that taking time for themselves will bless all aspects of their lives! her hope to inspire others : if she can be a mermaid, what can I get away with?